When doing two-factor authentication with iOS 12, filling in the texted passcode requires only a tap of the screen. Apple believes strongly in protecting our privacy, and that even extends to helping us use strong passwords. Rather than letting us put in weak ones, iOS 12 extends password suggestions to third-party applications. 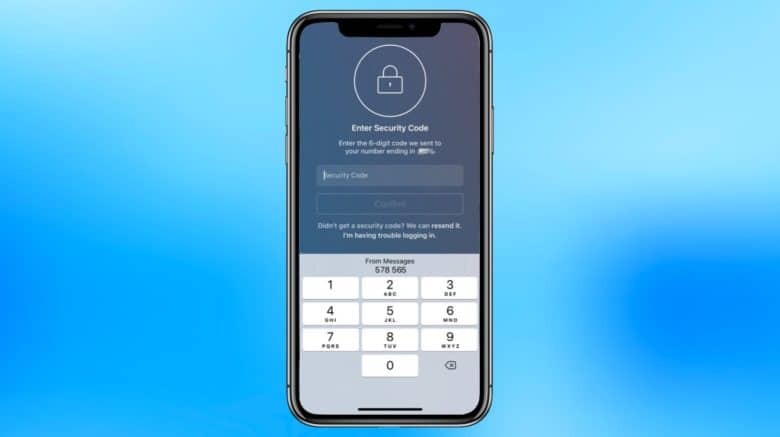 The next version of Apple’s phone and tablet operating system also makes two-factor authentication easier, and will warn users about weak passwords. The Safari web browser already automatically suggests strong passwords when new ones are needed. iOS 12 extends that to third-party software. These passwords are stored in iCloud Keychain, just like Safari ones, so they are accessible from multiple devices. When two-factor authentication is used, a password is needed, but so is a security code that comes in through a text message. This can be a bit of a hassle, but iOS 12 streamlines the process. Anytime an app sends a text with a log-in code, iOS 12’s version of Messages will automatically take you directly to the app to plug in the code. Even better, when a text message with a security code arrives, that code will appear in the keyboard’s Quick Tap bar. This makes entering the code a snap. In addition, iOS 12 includes a Password Autofill Extension to allow third-party password managers to enter passwords. These security changes were discussed in the Platform State of the Union address at the Apple Worldwide developer conference, going on now.